France Started Nuclear Energy, & the Nuclear Bomb Program (in 1938). 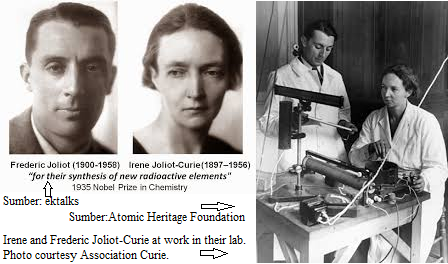 Nobel laureates Irène and Frederic Joliot-Curie had discovered artificial radioactivity. They contacted the French ministry of war in 1937, informing it was possible to make a nuclear chain reaction bomb. By January 1938, the program was launched and the ministry discreetly withdrew from public view all the patents on splitting atoms. French scientists Hans von Halban, Lew Kowarski, Francis Perrin and Frédéric Joliot-Curie had demonstrated experimentally for all to see that uranium bombarded by neutrons emitted more neutrons than it absorbed, the mechanism for a chain reaction (published in Nature, 22 April, 1939). For the chain reaction to happen, fission neutrons had to be slowed down. It was known that heavy water would do so. The French were given all the heavy water made by the Norsk Hydro plant in Norway (the director refused the considerable compensation a French agent proposed.) The heavy water was ostensibly put in one plane, secretly transferred to another, which flew to Scotland (and then France). The Luftwaffe intercepted the first plane, forced it down in Hamburg, and Nazi intelligence was rewarded by boxes of crushed granite. Three weeks later, Hitler attacked Norway. The British received the French savants with maximum enthusiasm, immediately starting a massive nuclear program (“Tube Alloys”). The king insisted to have the heavy water sit with the crown jewels in the deepest, most secret vault of the kingdom. Later on, during the “Blitz”, the nuclear bomb program was transferred from the UK to Canada, and to… Manhattan (much of it at Columbia University). Hence the name “Manhattan Project”. (More details are in the new book “Last Hope Island”, or buried in my site. “Last Hope Island” asserts correctly many truths blissfully ignored by US and English supremacists including crucial start-up contributions of France and poland in cryptography and the decipherment of the Enigma machine. “Last Hope Island” asserts definitely the truth that, without the French nuclear bomb program, there would not have been a Manhattan Project, and, in particular no nuclear bomb in 1945). 40 year old anti-fascist Italian Nobel laureate Enrico Fermi (who discovered beta decay, fermions, and the neutrino) became the scientific head of the Manhattan Project. However the input of French and British scientists was crucial. The Anglo-Canadian nuclear bomb project was headed by the French Halban, and stuffed with French scientists (for example Pierre Auger, Jules Guéron et Bertrand Goldschmidt). They informed the Manhattan Project scientists. They also informed De Gaulle, head of the Free French Forces. 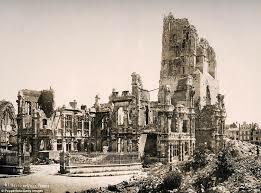 They even gave De Gaulle a conference on nuclear bombs, July 11, 1944, in Ottawa:”Une bombe, une ville”. (A bomb, a city.) VP Truman learned of the nuclear bomb the day he became US president… So a full year after De Gaulle..
Anti-French hatred, and the will to replace the European empires by an American one, rendered the relationship between the Franco-British and president Roosevelt’s administration so bad, that the collaboration became one way, and then interrupted. US anger was increased by greed: the US capture of three French patents fundamental to nuclear energy (the third patent, on nuclear bombs, had always been secret, but was communicated to the British and then US governments). By excluding and robbing the French, the US captured all the profits of the nascent nuclear industry (in particular, they captured in 1944 all of the Congo uranium production, in theory going to France since 1939). In 2017, the British nuclear arsenal has been reduced to three nuclear strategic submarines, with a reduced number of US made Trident missiles inside. 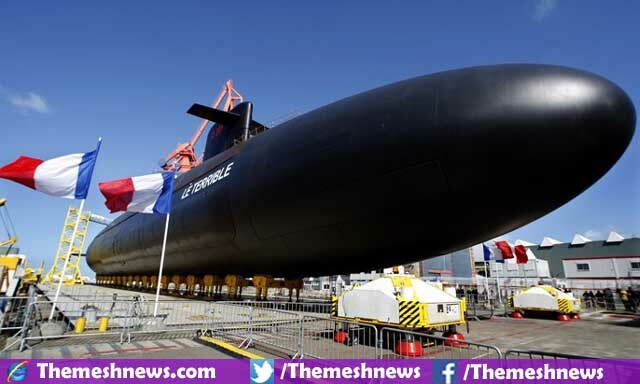 The French Republic has four strategic nuclear subs (with more silent jet propulsion), equipped with French missiles and French bombs. The French Air Force has also supersonic bombers equipped with supersonic stand-off cruise missiles (a sort of weapon even the USA doesn’t have). Moreover the six very large (100 meter long), super silent Barracuda nuclear attack submarines are capable of launching nuclear armed SCALP cruise missiles. So, at this point, the defense of the proverbial West depends mostly on France and the USA. The other Western powers mostly cooperate by calling the US president names, and insisting that France shouldn’t have a deficit, and should pay by herself the anti-Islamist wars in more than half a dozen countries she is presently waging. Misrepresenting history is not just unfair to dead people or their descendants. It is also unfair to cognition and logic. The way discoveries are made highly depend upon not just their contexts, but their philosophical environment. It’s no accident that French exiles such as Descartes or Denis Papin (a professor inventor of the steam engine, and the first steam-propelled boat) contributed so much to civilization. If one wants more such contributions, one has to reconstitute similar mental ecologies. The Anglo-Saxon realms tend to systematically underplay French contributions to philosophy, science, and technology. The agenda is deeply plutocratic: it enables them to claim that the so-called “neoliberal order” (greed at every corner), is superior to the more intellectual French approach. It is fashionable, among the PC crowd, to belittle war. This (greatly) Anglo-Saxon habit of recent vintage, maybe a way to disguise the fact Anglo-Saxonia’s realm rest precisely, on oh, so much war. And war of a type one better forgets. After more than 30 centuries of war, the place now known as France, at the confluence of so many paths, all over geography and history, should always remember one mood the Qur’an insists upon: war, jihad, all too often is a sacred duty upon everything depends. The same French scientists who, in 1945, turned pacific and refused to build nuclear bombs when De Gaulle asked them, were the same individuals who, in 1937, were grimly determined to atom bomb Berlin. There is no contradiction, just civilization, and the distinctions it enables to bear between Nazism and necessary war, on one side, and calm peace, and appeasement, on the other. However, by 1954, it became obvious that it was not towards a better civilization that the Soviet-US monopoly was heading. With Stalin-Beria on one side, and Nixon-McCarthy-Dulles on the other, it was high time to reaffirm a higher sense of civilization! On pense, donc on se bat! We think, therefore we fight. CHANGE OF MOOD: WHY HAS THE USA’S WHITE HOUSE BECOME PRO-EUROPEAN? Putin was stopped in the Ukraine, because he was handled by the USA in a completely different mood than the mood the USA applied to previous European tyrants, such as the Kaiser and Hitler. In the Twentieth Century, formidable European tyrants, such as the Kaiser, Stalin, Mussolini, Hitler and Franco were approached as business, and even imperial opportunities, by the USA. Those tyrants became the tools the USA needed to break the European hegemony on the planet. There is an exhibit number one here: the abominable attitude of the USA in September 1939. Instead of flying to the rescue of the French Republic, which had declared war to the mass homicidal dictator Hitler, who had already killed hundreds of thousands of Germans, the USA applied sanctions to France and Britain (which, with the Commonwealth had joined France in declaring war to Hitler, to its honor, overruling the despicable bleating of Gandhi, Hitler’s self-declared”friend“). Not only that, but the industry of the USA allowed Hitler’s Luftwaffe to keep on flying while it crushed Poland, and kept France at bay. Forget about the genius of free enterprise. This bait and switch of the USA was about raw empire, comprised of countless conspiracies of major plutocrats, and details nobody even knows about. Details of enormous consequence, though, such as the decision by Roosevelt, in 1933, to build 24 fleet aircraft carriers. That was not just as an enormous economic stimulus… And puts a lie to the commonly entertained fantasy that the USA was not ready to fight a world war in 1939. The day fascist Japan attacked treacherously, the USA had seven carriers, and five were in advanced construction. Only one survived the war, the Enterprise (and it was holed by Jap bombs more than once, including off Okinawa). Embracing European dictators, while getting ready to stab them in the back, worked beyond the wildest dreams of the American nationalists. The way the strategy worked was always the same: under the guise of “isolationism”, and loving to know nothing about everything, the USA would let its top business men established profitable trade with the worst. A massive war would ensue, and the USA would fly noisily to the rescue of victory, preventing the victors to enjoy victory without Uncle Sam splurging, and dictating. Yet, in Europe, the USA has changed strategy. Simple: the European Union. The EU’s democratization paradigm changed everything. The European Union forced the de-fascization of Portugal, Greece, and Spain. These dictatorships had been established with the help of the USA, direct or not. The EU’s might deconstructed the American empire. Direct French (and then British) intervention in Bosnia (under UN mandate) forced back pseudo-nationalist Serbian racial fascism. Confronted to all this, Bill Clinton joined the Franco-British effort (well after the French had used lethal artillery and air force violence in Bosnia). At this point the USA changed paradigm: instead of doing its usual switch and bait, it just collaborated with the EU, or France and Britain, right from the start. Simple. The switch and bait tactic used with the Kaiser, Hitler and Stalin, while still unobserved so far, has come very close to being revealed to all. One more blatant case, and even well paid pseudo-intellectuals from the pseudo-left, would be forced to admit that they noticed it. When the European Union enforced the de-fascization of much of southern Europe, the USA could not really oppose that frontally. Then of course, there were the eight year of plutocrat Bush. Bush decided to better embrace Europe to lead it into military-imperial adventurism. However France got in the way. Obama, Clinton, and, of course, Kerry-the-French, seem to have perfectly understood that the old bait and switch strategy is unbecoming the USA. And that’s right. The USA is now so mighty that it can get a better mileage from a higher morality. This is why Obama has become the best friend the European Union ever had since president Kennedy. Why Kennedy? Kennedy was no peasant. He was the scion of a top plutocrat. Yet he was also someone who had travelled in Europe, and, even more important, was an authentic war hero (so was his elder brother, who died piloting a sort of giant early version of a drone in a quasi-suicidal mission). Obama has an extremely variegated experience as a child, not just in Hawai’i, but also in Indonesia, confronted with people with very different attitude and religion, and even suffering the occasional brunt of their hostility, just because he was different. Enough to appreciate the transnational splendor of the European project. And that is why Obama found the wisdom and power to stop Putin in a timely manner (instead of the bait and switch FDR played with Hitler; Obama could have very well done this; instead, sanctions that bit were applied, and even the Swiss got motivated enough to entertain Putin with the vision of the bank accounts he and his friends have in Western Europe). Those who know history don’t need to repeat it. American plutocrats are too mighty to be opposed directly. After all, they made Clinton and Obama. The best those chaps could do was to short their main overseas strategy, planetary bait and switch. It’s much more than it looks. Now what we need is a real left in the West. And it should, it has to start, with intellectuals (it’s no accident that Elizabeth Warren is an ex-Harvard professor). As Obama has long said , he can’t do the entire job by himself. What was the cause of World War One? The correct description, thus lesson, has not been drawn, because the most significant cause has not been exhibited, let alone analyzed. The cause was plutocracy, and its associated fascism. As fascism and plutocracy impose their ways again, it’s timely to revisit what really happened in 1914. Here is the official history: WWI was an accident caused by too much militarism, imperialism, and a tangle of alliances. Right. But not the most significant cause, which is swept under the rug of consciousness: the official version elides the fact that Germany was ruled by a gang of mass murdering fascist plutocrats refusing elementary rights to their population has nothing to do with a World War. There is a lesson there, according to the official propaganda: if a powerful country is ruled by a gang of fascist, criminally inclined plutocrats, resting on the military while refusing elementary rights to the population, it has nothing to do with a potential world war, it’s safe for the rest of the world. That fascism and plutocracy have nothing to do with war is the mightiest, and most lethal, myth of the Twentieth Century. And then there is my version of history, reflecting ALL known facts, of how World War One was generated. According to which the war was the ineluctable result of the political system in Germany in 1914, and the generations before. The crucial observation is that Russia is in a similar situation today to that Germany was in, a century ago. Russia is ruled by a Caesar (= Kaiser, Czar), Vlad the Mad Bomber, supported by a horde of plutocrats. Western plutocracy has been an accomplice, as it profits from Russian plutocrats squirreling away, and buying influence, by storing their criminally generated gains in the… European Union (mostly). My friend Paul Handover, author of the web site “Learning From Dogs” chimes in: “There is a new, compelling and very frightening series on BBC television called 37 Days, about the days leading up to the First World War. Episode One shows, presumably accurately, the wheelings and dealings of leaders, politicians, ambassadors, and more without any thought for, or care of, democratic principles. My (expanded) answer: I have not seen the series. However, this is of crucial importance as we confront a crisis reminiscent to that in Munich in 1938. Except, this time, Hitler attacked first, and talked later. The title of the series, by itself, is misleading. 37 days since what? The assassination in Sarajevo? That’s what the title implies. Thus it feeds the myth that World War One was accidental. Just like Putin’s serial invasions, and massive re-armament, there is nothing accidental about it. Those who claim that World War One was accidental are poor scholars, idiots, or the agents of vested interests (that could be as simple as their university, say Harvard, want them to teach and preach lies about the goodness of fascism and plutocracy, throughout the ages). 1) On December 11, 1912 (it was a Sunday), after talks at the highest level, it had become Klar to the Kaiser, that Great Britain would not stop being friendly to France. Thus WORLD war was decided within two years. It sounds incredible, but that’s what happened. The Kaiser and his top generals agreed more “work” had to be done with the German media, so it would not appear as if they, the leaders of Germany, had attacked the world deliberately. 2) On June 1, 1914, exactly two months before the Kaisereich’s invasion, the envoy of the USA president, Colonel House, proposed an alliance to the Kaiser, with Britain, against France. At that point the Kaiser knew the USA would stand by him, and feed him during the war. They did. Selling directly to Germany and using the fake neutral Netherlands, the USA made a fortune supporting the Kaisereich by selling it all it needed, for years, including material to make explosives. 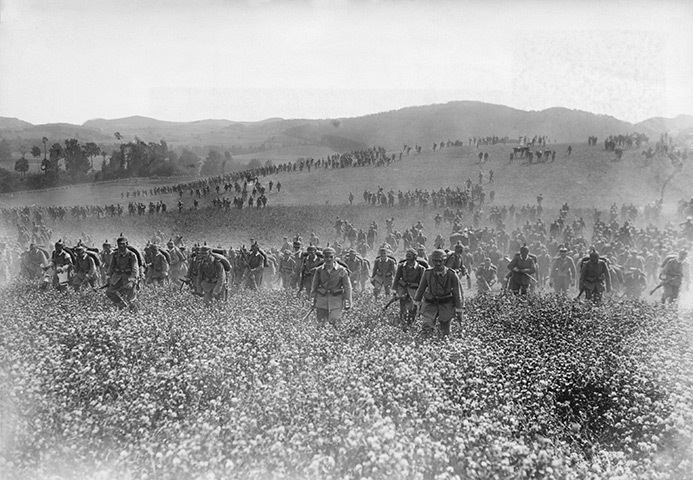 When it became clear that the French southern strategy of attacking through the Balkans was going to cut-off most of Germany and Austria food imports, and thus victory was coming to the democracies, the USA joined victory (in the all-out Second Battle of the Marne, in July 1918, a couple of USA divisions were engaged (and forced to attack in a corps comprising a French Senegalese division. The American divisions were completely destroyed, but picked up the Senegalese habit, well reciprocated by the Germans, of making no prisoners whatsoever). 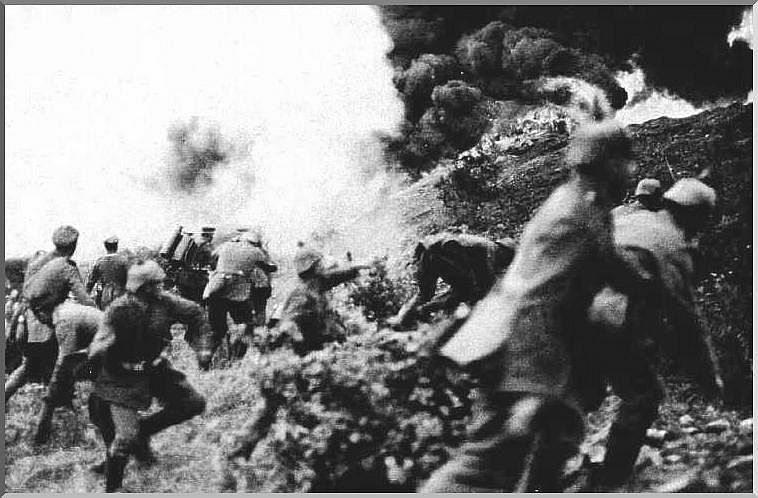 At that battle, the German army was led in by a tactical retreat of the French, before being destroyed by French artillery, and counter-attacked in a double pincer with 50 divisions (the Americans known the battle as “Soissons”, per the locale of the US divisions). Thus, just the title the BBC chose, 37 days, is full of propaganda and massive deviation from the truth. But it is of the interest of the commanding elite to claim that past commanding elites (even if Prussian) did not deliberately plan a WORLD war (although they did, explicitly). The truth is that the Kaisereich was a fascist dictatorial plutocracy, and hated the democratic French Republic next door, doing all it could to destroy it, before, from its own secret assessment, France, with the help of its democratizing ally, Russia, would leave fascist Germany so far behind economically, that there would have been no hope to win a war. I have written about this many times before, for many years. Unsurprisingly, this all encompassing point of view is not taught in Harvard. What is taught, instead, on most “left”, “progressive”, “liberal” propaganda centers is that, in World War One, just as in World War Two, there were “no bad guys versus good guys”… As some self glorifying smart fascist heading the ANC, Anti-Neo-Con network put it. The same fascist, and many like him, claim the USA has killed 200,000 in Syria, and Putin did not invade Crimea. And he adds: “People sleep-walked into WWI… The USA gains nothing. The USA failed in Syria. It’s almost as if they wanted to restart the cold war. Well, there are more important things than blood. I believe that such pro-fascist guys are actually well financed pro-plutocratic plants (deep down, their reasonings are in no significant way different from the Vichy propaganda). They are all over the left, and, to a great extent, the New York Times is culprit in the same way. With the sort of attitude stridently proclaimed by much of the pseudo-left, had it ruled our ancestors’ behavior, we would all have remained chimpanzees. It is as inhuman as one can get. Instead, the correct, and wisest morality, when Pluto, the Darkest Side of horror, tries to rule, the best side of the genus Homo has to rise in arms. Seditiously pleasing Putin is not just a betrayal of democracy, it’s a betrayal of humanity. Just as it was a betrayal of humanity to serve the Kaiser in 1914, or Hitler in 1939. Abstract: Agreed, some people are low lives, and focusing on them distract from more worthies issues. Paraphrasing, Paul Krugman himself said that he regretted to have to worry about idiots so much, but somebody had to do it. All the more as those low lives have been leading civilization, into devastation, to the point they may terminate it. Lawrence Summers had positions at the apex of the governance of the USA and the world, for more than 30 years; he is a plutocratic mastermind. Obama: Summers To Save World Once Again. No conspiracy in the USA, just a central committee (Goldman Sachs-Citigroup-Clinton’s minder, plutocrat Robert Rubin on the left, plutocrat Lawrence Summers on the right of the clown). Meanwhile crucial economic activity of governmental type, such as science, is cut all over (because of“sequestration”, another smart idea proposed to Congress by another of Obama’s very bank connected wealthy advisers: who needs neoconservatives when one has Obama advisers, the children of Summers?). Don’t worry: Summers’ creatures, such as Sherryl Sandberg, Facebook’s spymaster, and other friends, including the U2’s propagandist Bono, are making more billions than ever. Their wealth, certainly, is not sequestrated. Larry Summers was, as Clinton Treasury Secretary, the point man allowing unregulated financial derivatives, thus making the real economy derivative ever since. Just on that point, he should be disqualified. The taking over of the world by the same group of people, families and friends is very old: Senator Baucus’ family has reigned over his state for five generations (Baucus had some insurance industry VP write Obamacare). Plutocracy’s blossoming is older than the BIS (Bank of International Settlements), The BIS was created by Washington in the early 1920s, to safeguard (under Reichsbank’s head H. Schacht’s supervision) the transfer of formidable assets of the Nazi Party, and associated plutocrats, throughout the world, before, during, and after World War Two. In the end, Germany prosecuted only 13,000 Nazis. However, the Nazi Party reached, by 1945, 8 million members. Considering all those who died, and Nazis in other countries (like international SS, of which there were hundreds of thousands), this means that 99.9% of Nazis were NOT prosecuted. Many Nazis became rich from spoiling and then killing other people, in particular, Jews. The case of the global corporations (mostly USA based) was telling: although many were the crucial enablers of Hitler, they were not punished. The French Republic tried to arrest IBM directors, in 1945, but secret services of the USA ex-filtrated three of them out of the Republic’s reach. Hitler had given IBM a monopoly for organizing the Reich. So many Nazis, and most of their topmost collaborators, thrived after WWII. This fact helped to install the following mood: if the Nazis, their greatest friends, collaborators and enablers could get away with what they did, why not us? The madness blatant in the Ayn Rand (guru to Greenspan and other neofascists) boiled down to a rage against any regulation, in other words, against any law. But for the law of the jungle. This is not different from the main mode of operation of the Nazis. Summers, Sandberg, World Bank 1991. The Worst Rule The World, Because They’re Worse. Who elected this people to give them control of the world? Well, their owners. Sherryl Sandberg is Summers’ kind of woman: greed unlimited. Let’s bank on the world, spy on the world, and make taxpayers pay for it. More than a decade later, Summers blocked Christina Romer’s pleas for more stimulus in Obama’s administration. Blocking the spirit of empathy, fairness, or just the rule of law, seems Summers’ call in life. He had a horrible fight to oppose Brooksley Born, chairperson of the Commodity Futures Trading Commission (CFTC), an agency supposed to combat fraud. Greenspan, Rubin and Summers told Ms. Born that fraud in financial derivatives should not be something one inquires about. Neither of these three graces is a lawyer. Ms. Born was a very experienced lawyer, since her star days in Stanford, and as a partner in a prestigious law firm, she spent decades practicing high level finance. In other words, Greenspan, Rubin and Summers were meta-criminals, people who believe some crimes are self-correcting. A meta-criminal believes that some crimes are not crimes. 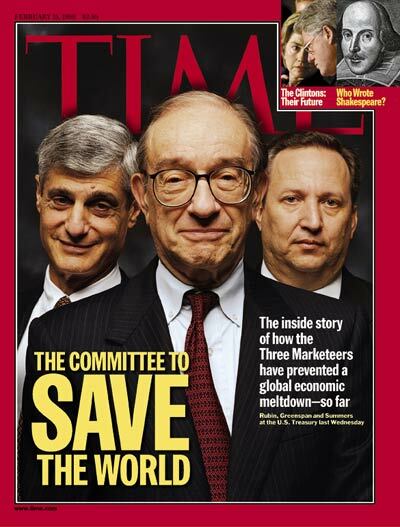 In the “Committee To save The World”, made of Rubin, Greenspan and Summers, Summers was the “enforcer”. Enforcer of the Law of the Jungle. Summers screamed to Born on the phone that she was going to cause another depression, and that he had “13 bankers in his office” telling him that. 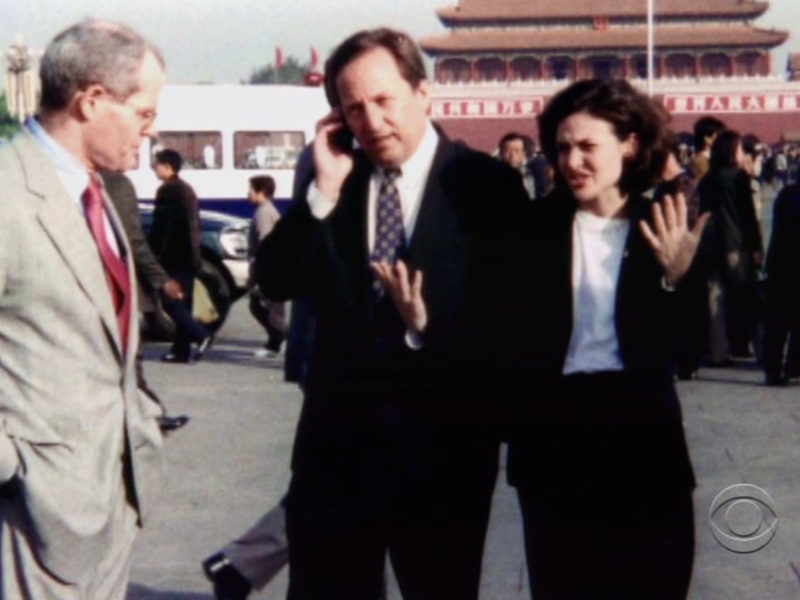 In the end Born’s opponents called an “emergency working group”, and a propaganda campaign was organized against her until Congress demolished the CFTC. Summers hyper intelligent? Summers is simply no scientist, being only a vulgar economist (at best). However Summers, not a scientist, insulted all women scientists by saying that women are not as capable as men. He said this as Harvard President, presiding over a vast assembly of professors who had come to listen to him, in his function as Harvard president. Yet, several of the very greatest scientists of the 20th century were women. Example: the Curies (Marie and Irene), the towering mathematician Emmy Noether, the discoverer of jumping genes, Barbara MacClintock. Hence Mr. Summers is crass ignorant, arrogant, and not smart (to say the least). Besides being sexist to the point of imbecility. All the female scientists I just mentioned are not just famous, but turned out to have been brazen geniuses: they introduced science so revolutionary, that it was viewed as completely wrong, sometimes for decades. That, in combination with their genders, made their careers very difficult. What is a genius to Wall Street has, unsurprisingly, just the mind of a leech, for those endowed with common sense. Summers is a condensed parody of plutocracy. He started as a twenty something PhD in Reagan’s cabinet. This stellar career springs from hereditary plutocracy: two of Summers’ uncles were Nobel Prizes in economics. But Summers’ position on CO2 was certainly serious. Lethally serious. He was the leading voice within the Clinton Administration arguing against the USA doing anything about greenhouse gases, and against US participation in the Kyoto Protocol (according to internal documents made public in 2009). 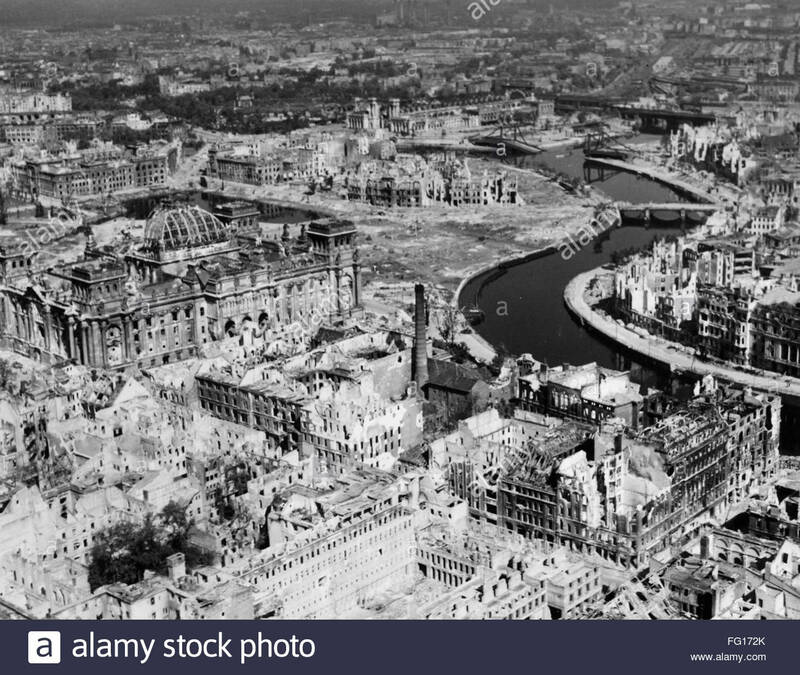 This demolished Kyoto, as the European Union went at it alone, to staggering unilateral cost, causing the EU an important trade disadvantage. Why to mention Sandberg all the time? Because she is typical of the corruptocracy around Summers. She was sent by the government (what else?) to the top of Google, obviously part of a Faustian bargain. Industrial spying for the government by Google and company started about that time (before 9/11). Some of Summers’ creatures are expensive, and not just to the Constitution of the USA. Bob Rubin, that wise leech, cost taxpayers 100 billion dollars… So far. Not counting interest. 100 billions, personally, just for his little hobby (Citigroup). Summers pontificated that “…increased government involvement in the health care sector is a risky idea.” But apparently financial derivatives are not a risky idea. Is the rest of the world, with its nationalized health care risky? Yes! Obama wealthcare is safer for those who enjoy it! On Pinochet loving, libertarian economist Milton Friedman’s death, Summers said that “…any honest Democrat will admit that we are now all Friedmanites.” if honest democrats believe this, one fears to imagine what dishonest ones such as Summers believe. Summers pressured the Korean government to raise its interest rates and balance its budget in the midst of a recession, right in the middle of the South-East Asian crisis. During this crisis, Summers, along with Paul Wolfowitz, pushed for regime change in Indonesia (See the book The Chastening, by Paul Blustein). In truth fascists and plutocrats are after getting as much power on other men as they can, with whatever methods come in handy. Hitler explained that the obsession with power, doing whatever to get more power, without ethics or mental coherence, was fascism’s main strength. Hitler had to re-iterate this explanation after he made a spectacular alliance with the Polish colonels in January 1934, standing on its head the main axis of the Nazis’ implicit program (re-subjugating the nations Germany used to occupy, and had lost because of the Versailles Treaty). Strength, of course is everything for those who affect to believe the Will to Power is (nearly) everything. It got to the point that a USA Federal judge ruled that, by investing on their own accounts while advising the Russian government, Harvard professor Shleifer (and Moscow-based assistant Jonathan Hay) had conspired to defraud the US Agency for International Development (USAID), which had been paying their salary. The Russian-born 45-year-old Shleifer is another superstar of the economics profession. Like Summers, he won the Clark Medal, the award of top economist under 40. Shleifer became the editor of Harvard’s Quarterly Journal of Economics at the age of 28, and became editor in 2006 of the American Economic Association’s Journal of Economic Perspectives. What we are facing is a galaxy of greed from second knives, below the old money and Wal Mart family class (worth around 100 billion dollars, same order as the Gates’ control of 120 billion dollars). Instead, Learn to Love Plutocracy. The perspective, ladies and gentlemen, is something akin to what happened 1,000 years ago, when the richest plutocrats instituted the feudal order in Europe. Plutocracy is what happens when the Dark Side breeds with the mathematics of the exponential. It’s not about brains, or being right, or wrong. It’s about who you know, power, and breed. 1,000 years ago elective processes were replaced first by money, and then, heredity. The best intellectuals, inside the Church, objected in vain that the Church used elections to select the best, and that secular society ought to go on that way. But it was not about being the best, and selecting the best. It was about power that be. That’s why Obama loves Summers. Not because Summers is lovely (even Obama cannot be that clueless!). But because Obama is scared. Want fun? Greenspan finally came in front of congress in 2009 and recognized that there was a “flaw” in his perception of “reality” and his “ideology”. He looked ready to puke, complete with quivering lips and bulging eyes. Tough for an addict of the mad Ayn Rand to admit that the law is of some use. More fun? 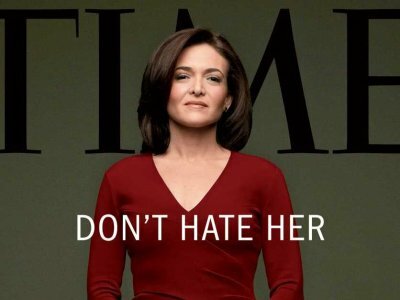 Sandberg, Summers’ pet, who used to live (in some pictures at least) inside Summers’ arm pit at Harvard, after being installed at the apex of Clinton, Google and Facebook, and making billions, now gives lessons to women of the world to preach to them the exact opposite of what she did. Want hope? The (mostly) Franco-American robot Curiosity, as large as a small truck, just had its first birthday. The scientific results are considerable; they demonstrate that there were streams on Mars, with chemical conditions suitable for life. Curiously, Mars is anticipated to be so favorable to present Earth life, that the Mars missions are sterilized at huge cost (as much as half a billion dollars for a future life searching mission!). Some suggest to cease that policy. And I agree! One should view Mars as a colonization target, and we may as well send as much life there as possible, in the hope it will adapt (and then we can bioengineer the survivors to produce oxygen). If it is not lost to treason, civilization will be saved by reason. Questions: Why persistently misrepresenting what happened in World War Two? Especially in the initial roles played by France and the USA? What are the vital lessons looking forward? Answers in the conclusion. Some internet sickos claim that, if one use notions pertaining to Nazism, one has lost the argument. They are often found to hate Jews. 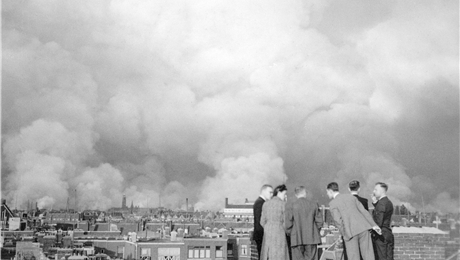 Rotterdam Burning, 14 May 1940. When Nazis Threatened Same For Utrecht, Netherlands Surrendered. To help the Netherlands and Belgium, the big hearted French and British armies left their prepared positions, and moved north, enabling the Nazis to cut them from behind. Hitler cynically had hoped to play that bleeding heart attitude like a violin, dashing through the unbuilt Belgian portion of the Maginot Line (unbuilt, thanks to the USA’s perfidious influence). Those who hate to mention obvious notions are generally dependent upon them, either materially, or psychologically. Circles worshipping financial kleptocracy, and white racism, naturally hate France: this started in 1934 when the French leaders visited Washington (!). France, a creditor, wanted austerity in economic & political matters, in full opposition with the USA, which favored Hitler’s line: stimulus, no matter what. In the case of Hitler stimulus meant stealing from the Jews to redistribute to his supporters, while re-arming crazily in all ways; in the case of the USA, or the UK, stimulus meant not getting ready to fight a world war on the side of France, by keeping military spending low, favoring consumption. Ironically the inversion of that proposition during WWII led to an economic boom in the USA… and a debt crisis in the UK (as the USA used usury against a desperate Britain to lend her, for example, 100 old destroyers). The first hysterical French bashers were the Nazis. Besides the painful fact that half sized France had defeated the Second German Reich in 1914-1918, they had a more recent point. Indeed, France had started the world war (in the sense that a world war was the only way to stop Nazism). Nowadays French haters have turned this around. They pretend that the French Republic was full of collaborationist cheese eating surrender monkeys. Confronted to the fact that it was the French Republic that launched the world war against Nazism, French haters do not have enough humor to claim that it was just to better surrender. 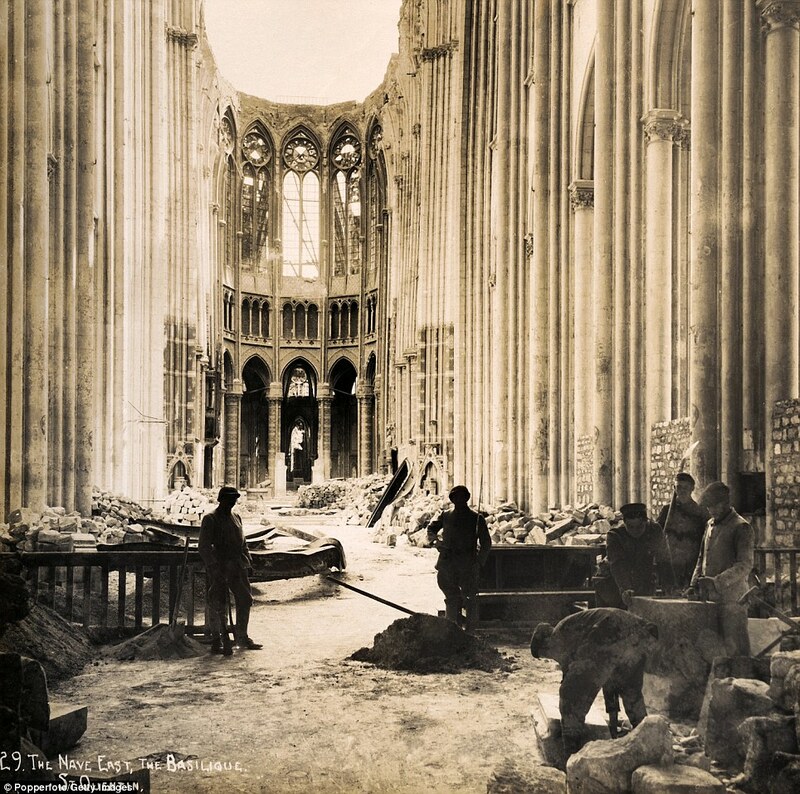 Never mind that the French empire lost nearly FOUR (4) million dead in the 1914-1945 World War: such enormous losses are assuredly not understandable to most contemporaries. By comparison, the USA suffered 186,000 dead on the European theater in WWII (while the USA had 3,3 times the population of France); and 117,000 dead in WWI, for a grand total of 303,000 dead. The same numbers for Canada are: 45,000 dead (WWII), and 65,000 dead (WWI), for a total of 110,000 dead. However Canada had 8% of the population of the USA, and declared war to Nazi Germany on September 10, 1939, seven days after France and the UK did (and two years three months and one day before Hitler declared war to the USA, the most celebrated heroic gesture of Uncle Sam, hiding below its bed!). The French Republic ultimately won the war in the deepest way imaginable, turning the German state in a genuine sister republic and democracy of France. Think about what would have happened if France had followed the British line of 1935, and let Hitler free to do whatever he wanted in the East: the few surviving Slavs would be enslaved, all the Jews, Gypsies, etc., exterminated, and the Grosse Reich all the way to Japan! French haters generally hate to mention Hitler, and some of them (say Buchanan, famous writer in the USA, and a past presidential candidate), to this day, make no mystery that they hate France, because France attacked their cherub, Hitler. In a way making Germany in a republic and a democracy was a reunification of the Germans, as the Franks were total Germans, and the secret of France, and, actually, the West, was the philosophical unification of the Greco-Roman ways with the Celto-Germanic ways. WAR ON TERROR WILL NOT END, AS LONG AS THE USA IS TERRIFYING ENOUGH. I wrote this partially in jest. Partially so, because much of the trouble of the Middle East has to do with a religion that has instituted, and promoted, militarized plutocracies, that is, the rule of a few devils, complete with abject submission to the lowest instincts. That the USA instrumentalized this Islamism perfidiously is its own problem. “The USA liberated the whole of Europe, most of Asia, Kosovo, Iraq, Afghanistan and helped with Libya, which would not have happened without Sarkozy, for which I forgive him all his other nerdish irritations. Just compare North and South Korea if you want to see the real heroism of the US soldier. Incidentally, while US marines were dying to liberate France the French elite was collaborating with the Germans to send Jews to Auschwitz. I think, therefore, that this endless slagging off of the USA is very silly. Answer: Chris, I agree with some of what you say, but disagree strongly with some too, especially with the naive end. You should study my writings more, should you desire to stick to the truth. The USA aggressed Afghanistan in the mid 1970s, through the CIA, on its own, and a secret order of full attack was given by Carter on July 3, 1979. Within months bin Laden was recruited in Turkey, because of his plutocratic connections with Saudi plutocracy, and his naive Islamist beliefs, prone to manipulation. Later bin Laden led an enormous Muslim Fundamentalist army (mostly made of Arabs, but also Chechens, etc.). Did I forget the slight detail the USA was de facto allied to Hitler in 1936-1939? Let’s talk first about first things first. To call the “milice“, a criminal organization the ‘French elite‘, shows oneself to be a fascist. My family took huge risks and made huge sacrifices to save more than a dozen Jews during the Nazi Occupation. Food was rationed, throughout France. So it was very difficult for a family of 4 to find food for 16. Besides, running away from the German speaking, Gestapo. The Gestapo was full of Germans, not full of French. De facto, the Gestapo ruled France. Barbie, head of the Gestapo in Lyon killed, it was determined, through torture, around 5,000 people. One of his tricks was to set a dying resistance fighter on one of his armchair in his office. He did that to Jean Moulin, in particular (an artist and French prefect who was nominated head of the resistance in France by the Free French government). BTW, my family, having been denounced, was warned by an informer, inside the Gestapo (! ), and ran from it in a forest. There they stumbled into an American GIs’ patrol. This explains my mother’s devotion to the USA (which has become more nuanced under the withering fire of my fact propelled critique). Many of the French who lived through WWII were thus, intensely devoted to their American liberators. And, no doubt, the GIs deserved the devotion. The effect was augmented by the fact that the million man French army converging from Normandy and Provence was fully equipped by the USA, so the French populace often took for Americans what were in truth French troops. Most of the major French cities were mostly delivered by French army units, which tended to be much more experienced than the Americans, more relaxed, and much quicker on the hoof. And yet, a careful examination of what happened in World War Two, needs to go beyond the 11 million citizens of the USA who were drafted in WWII. A careful examination of how a criminal such as Hitler came to kill 50 million Europeans points directly to Washington and the plutocracy of the USA. If not for the American plutocrats, first of all, Hitler would have had no fuel to allow his armies to go anywhere (and Hitler would have had no planes flying, his Luftwaffe grounded in 1939, as I am always keen to point out). Not that the USA is sole to blame: without Swedish high grade iron, Hitler would have had no tanks. And the French Army, in cooperation with Britain, was poised to cut Sweden in two on May 10 1940, just when Hitler applied that method to the motherland at Sedan. Of all these things it is good to reminisce, as war, and an anti-democratic ideology extends throughout the Middle East. The bottom line is that the USA had betrayed its parents, France and Britain. Democracy was divided in 1939. On one hand, there was France leading Britain and many courageous countries of the Commonwealth into the ultimate war against Nazism (they were belatedly joined by… Norway in 1940). And then there was a whole panoply of pseudo neutrals, led by the USA, most of them collaborating with Nazism. The defeat of France in 1940 was caused in great part by a positive interference of the actions of many of these pseudo neutrals (under USA influence, Belgium refused to extend the Maginot Line, allowing the Panzer Army to pass; Holland played victim and led stupidly the French High Command to come to its rescue with the seven armored division quick deployment mobile reserve, the absence of which then allowed the ten Panzer divisions to sickle behind). The Chinese deputies met. Together, their worth is 83 billion dollars. The richest, a woman, is worth 6 billion dollars. Real estate. The next one is worth about three billion. Plutocracy is doing well, nowadays. How did the great war of 1914-1945 start? When (German) plutocracy imagined its tremendously rising trajectory would face a worrisome future (the German Socialists did not see why they could not get all the advantages their French colleagues enjoyed, and thus live in a republic with less plutocracy). To make matters worse, other plutocrats, in Britain and the USA, tried (and succeeded for the later), to leverage the situation to their personal advantage (especially after 1919). It goes without saying that the same psychological mechanism will apply to the Chinese kleptocrats when the Chinese people gets angry from the way it is been exploited. Just as the German plutocracy tried to save itself with the distraction of a war, so will the Chinese plutocracy. What would hold it back? Just the certainty that the democracies will go to war, and stop, only when they have achieved victory, no matter what. In the end, French armies started to fight again the Nazis, even before the USA did, and to more effect (Bir Hakeim, probably World War Two’s most crucial battle with the prior Battle of Moscow). Wars are not over. The argument can easily be made that we are one great world war away from world peace. Yes, that argument has been made before. Hundreds of rockets are fired again on Israel. The sophisticated “Iron Dome” anti-missile system intercepts and destroy more than 90% of those heading towards protected cities. It is impressive to see rockets flying in a volley being exploded one after the other, up in the air, by Iron Dome. On the ground, Islamist Fundamentalists from all over Muslim Medievalistan [neologism] have been pressing Hamas for more action. The Egyptian Prime minister visited Gaza, so did another minister from Tunisia. Turkey’s Erdogan visited Turkey’s old subject, Egypt, and expressed support for its other old subject, Gaza. Israeli PM Netanyahu said that the terrorists were targeting Israeli children, while taking refuge next to Palestinian children. He declared, as he had to, that the Israeli government would do “whatever is necessary“. To stop the rain of rockets. This evocation of the Dark Side can only mean an escalation. Meanwhile more than 100 people a day are killed a day in anti-Syrian airstrikes by the Syrian Air Force. Turkey followed France, and recognized the Président de la coalition nationale syrienne, M.Moaz Al-Khatib as the only legitimate representative of the Syrian people (“pour nous le seul représentant légitime du peuple syrien”), as Hollande put it in the Élysée Palace. The Élysée Palace was closed in June 1940. So much for having a French State after that (there was no National Assembly, nor Senate, nor most of the institutions of the state after this; demonstrating, by the way, how idiotic were Chirac’s excuses in the name of the French State: how can one present excuses in the name of what did not exist?). The French president had been against a cease-fire in June 1940, but was overwhelmed by a coup from a few men (“soldats de rencontre“), while the Nazi panzers were reaching Bordeaux. The Élysée reopened in 1946 for Vincent Auriol, President of the provisional government, then first President of the Fourth Republic from 1947 to 1954. Those who claim that “France” had a legitimate government in Paris after June 21 1940 know nothing. Why do they think it’s called Vichy? Politics is not black and white. Sometimes you have to support a lesser evil. Maybe the kleptocracies of Saudi, Kuwait and Bahrain are better than the outright fascist lunacy of the Iranian regime. Maybe. After all, in WWII our sailors died taking convoys to help save the USSR, which actually murdered tens of millions more than Hitler. Answer: Totally ignoring that the British and French military intervened in Bosnia, under a UN mandate, well before they succeeded to drag the USA in, is apparently fashionable among Washington sycophants… Yet, without France and Britain firing back first, the USA would have never showed up. To elevate the Vichy collaborationist group into the French political elite – the establishment is a logical mistake. I have gone over this many times. Several of the leaders (including Petain) were among the fiercest fighters in WWI. Several of them got condemned to death (and some were executed) after France re-established a legitimate political authority (led by De Gaulle) in august 1944. In truth the FRENCH political elite – the establishment execrated Hitler, but had been stuck since 1934 from engaging in all out war against Hitler, due to the collaboration, and entanglement of much (not all) of the British, American and German elite with the Nazis. This is the part of the Second World War that is extremely pertinent to this day, and widely, even wildly, ignored. The collaboration with Hitler went as far as a treaty between the United Kingdom and Hitler, in 1935, that violated the Versailles Treaty, officially. So how could the French political elite – the establishment then attack Hitler for violating the Versailles Treaty? Such was Blum’s quandary. Blum, as a Socialist and a Jew, part of the French political elite – the establishment, could not be suspected of being a collaborator. I also know for a fact that the son of another French Prime Minster, Daladier, was wanted very badly by the Gestapo (as my family hid and sheltered him, the only non Jew for whom my family did this). When the French Republic and the UK declared war to Hitler, the USA reacted with sanctions against them, passed by the US Congress, signed by the president, FDR. Meanwhile the USA sent 500 tons of lead tetraethyl, a crucial anti-knock compound, to Hitler, so that his aviation could stay in the air. If not the French and British would have had instant air supremacy over the Nazis, a situation only achieved in June 1944…And not earlier, because of the TREACHEROUS AMERICAN HELP TO HITLER. The Battle of France in 1940 was a very serious event: it was the fiercest battle of the western front in WWII. Nearly 200,000 soldiers died. Officially 50,000 Nazis, most of them elite fighters and officers, died. And probably more. In pitched massive tank battles of May-June 1940, the Brits and the French won. It is estimated the French lost 1,274 aircraft destroyed during the campaign, the British suffered losses of 959 (477 fighters). The battle for France cost the Luftwaffe 28% of its front line strength, some 1,428 aircraft destroyed. A further 488 were damaged, making a total of 36% of the Luftwaffe strength negatively affected. So how come the Nazis won? Simply by cutting the superior French and British from behind. And that was the result of Hitler’s crazy gamble, to put his entire tank army on a single road in the mountains, knowing full well, as he did, that he did not have a chance otherwise. Morality: do not underestimate desperate men with too high an opinion of themselves. COMMON MYTH: THE USA SAVED THE DAY ON D DAY. The holocaust of 50 million Europeans (including up to 6 million Jews) happened because the USA did not rush to the help of France and Britain as it was its duty in 1939 and 1940. When the US General Infantry landed in Normandy on June 6 1944, they were not exactly alone. Actually there were more Brits, Canadians, and other Commonwealth troops, Poles and French, than there were Americans. Besides Canadian soldiers had landed in France in 1940, and 1942 already. Verily, the Americans had been brilliant from their absence in the first three years of the war, and finally got involved only because the fascist Japanese and Germans attacked them. As the USA never had more than 64 divisions on the Western Front, American combat troops stayed a minority in 1944-45 (although USA supplies and equipment were dominant). COULD FRANCE & THE BRITISH COMMONWEALTH HAVE WON WITHOUT THE USA? The role of Stalin was, first of all, self interested. He helped Hitler considerably. The last giant freight train from the USSR crossed into the Reich while the Nazis attacked the other way. Hitler’s forces suffered heavy losses in the Fall of 1941, on their way to Moscow, where they were crushed by Christmas, after reaching the end of a metro line (literally and figuratively). That was the first severe Nazi defeat, with a huge loss of equipment, men, and opportunity. Long live the Russians? Not so fast. The Nazi offensive against the USSR was delayed 6 weeks, because the Greeks had defeated Mussolini’s fascismo. Those six weeks, plus the ensuing enormous Nazi losses in Crete prevented the Nazis to seize Moscow, and break the USSR in two. Fascinating subject, that deserves its own essay. In one sentence, though, yes, the French and the British could have won without the USA. After all, the USA had nothing to do with Bir Hakeim, Al Alamein, and the defeat of the Afrika Korps. Or the defeat at Moscow (although USA supplies helped by the time of Stalingrad). However the outcome would have been assuredly very different, and much slower unfolding. No “American Century” though. Conclusion: FRANCE WAS CIVILIZATIONALLY & MILITARILY CORRECT TO DECLARE WAR AGAINST HITLER IN 1939. THE USA WAS EXTREMELY WRONG TO HAVE SUPPORTED HITLER IN 1939, thus undercutting not just democracy and its parents, but also the numerous sane elements of the German military. Why Germany acted the way it did in 1914-1939, has a lot to do with why the USA supported Hitler in 1939: a persistent mental super storm, where the Dark Side was allowed to guide the reigning plutocrats. The same sort of factors are still ruling in many parts of the world today: Russia, China, the Middle Earth. That they would coalesce as the “Axis” did in 1935-1938 is a gathering possibility, with offensive intervention by the leading democracies the only safeguard (the safeguard that failed in 1939, as the USA went Dark). The World War that tore apart Europe in 1914-1945 was not just a form of collective madness, tribalism, militarism, imperialism as last stage of capitalism or a logical extension of the sort of exploitative racism Europeans had demonstrated worldwide. The plutocratic phenomenon was the main cause of WWI and its aggravation into WWII, Yet, plutocracy has been the cause less studied, as the notion does not enjoy the prominence that it should have. Keeping accusing the French to be surrender monkeys is a lie to mask the atrocious role that the plutocracy of the USA played in WWII, all the way from taking sanctions against France and Britain in 1939, until Yalta, and actively collaborating with Stalin to let him crush half of Europe in 1945. This attitude serves the interests of the plutocracy of the USA, by focusing attention away from reality towards an American Dream that exists mostly in the mind of the beholders. This is why anti-French racism is a crucial link in the chain of resoning supporting the established order in the USA, as I showed in a number of essays on the origins of Anti-French sentiment. Oligarchies in the UK and the USA long used Hitler as a tool. Britain abruptly switched from collaborating with Hitler to collaborating with France in 1938-1939. The USA, though pursued an ambiguous policy, not just with Hitler, but also with Stalin. The bottom line being that, playing hyperpower, the USA displaced and replaced the European powers thoroughly, by leveraging World War Two. In case the French and the British did not get the message it was repeated loud and clear in 1956, when Eisenhower, who had collaborated with Stalin in April 1945 (over Patton’s objections), collaborated again with his butcher, Nikita Khrushchev, to impose his will at Suez… and in Hungary. Now that the effects of fascism in Europe have faded away, the intellectual, judicial and economic power of the European has grown. And so it has been in the rest of the world. The USA’s 200 million white very developed people have found themselves less and less capable of imposing their will by force and conspiracy on the entire planet. Thus the realization by the USA that an alliance with the European Union would not just be more profitable, but necessary. The French Republic’s point of view that Nazism was a cause worth fighting against, proved, in the fullness of time, most progressive. This is to avoid this message, that the French were right in 1939, the USA were extremely wrong, that the Wall Street types and their sycophants keep repeating that “France” did something wrong in WWII. Yes, right, from their point of view, and the source of their indignation is not what they claim. After all, among many other things, if the USA has a brown president, it’s because institutional racism was demolished in the USA in the 1950s and 1960s. That certainly would not have happened if the racist vision of the world of the Nazis had triumphed in the 1940s. And Nazism would have won if no country had declared war to it. And definitively, it’s France that opposed Nazism (with the UK, with not much of an army, in tow). So France showed the way. Obama 2008 was made possible by France, 1939. That not only enrages those still nostalgic for racism (think Tea Party), It also enrages American liberals, since after all, they did not amount to much. Once again, if the USA had declared war to Hitler, instead of flying to his rescue in 1939, German generals (led by Beck) would have killed Hitler and the top Nazis, and that would have been it: no American Century. Oops. As a USA born citizen told me recently in Paris: “World War Two was a win-win for the American elite”. And thus a paradox: if Hitler was so good to the USA, should not a patriotic American have followed its Congress and President in 1939, and support Hitler? The question is not quaint: as the USA is poised to become the world’s greatest oil producer within a few year (again! ), it does look as if, again, the Dark Side is on the side of the USA. Should not thus patriotic citizens of the USA support it? Such is the quandary: American progressive have to be regressive, it seems, for the USA to progress better. Thus this past instructs the present. Rome and Athens started to lose the day they resigned themselves to fixed borders militarily, and intellectually. Naturally they then turned to the Dark Side. Neither the West, nor actually the planet and its biosphere can afford the same mistake again. Thus democracy has to remember that progress is its best friend. That does not mean that the legions ought to march all the time (as they did when Republican Rome was rising). Sometimes one can be crafty and multipronged (as happened with Burma, aka Myanmar, where the local military plutocracy was seduced by the West into resisting the Chinese temptation). Putin, Chinese plutocrats, and Muslim pluto-theocrats may look picturesque, but do not underestimate the temptation they feel, and the ability they have, to coalesce. A chain of viciousness goes from enraged, or all too innocent, Muslim Fascists, to Hamas, Hezbollah through Syria, to Iran, Pakistan, China, with the moronic Putin lurking, and messing things up. If that chain is successful for the elites that profit from it, it will extend, and may even exponentiate, causing a world war. Time for a philosophical Iron Dome.